Regular is fancied to carry the colours of the Queen to a first career victory in the £20 Free Bets At totesport.com Novice Stakes at Chelmsford. Michael Bell’s juvenile has presumably had his issues, having been gelded before he even made it to the racecourse. However, the fact he was favourite for his introductory run at Redcar little over a month ago suggests he had shown his Derby-winning trainer something on the Newmarket gallops, and while he came up a little short, he ran a seriously encouraging race to finish a close-up second. Regular made his second appearance at Doncaster almost three weeks later and ran respectably finish fifth, shaping as though he was still not entirely sure what was required. He switches to the all-weather for what looks a winnable race on paper, and should be there or thereabouts. 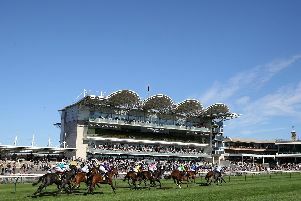 The Mark Johnston-trained Matterhorn won comfortably on his first visit to the Essex circuit three weeks ago and can follow up in the Irish Lotto At totesport.com Novice Stakes. The son of Raven’s Pass was beaten into third when favourite for his Pontefract debut, but rewarded those who kept the faith with an odds-on success over a mile here. The step up to a mile and a quarter may bring about improvement. Mainsail Atlantic has made little impact in novice company so a try in handicaps is an obvious step in the Bet In Play At totesport.com Handicap. He ran into one too good when beaten six lengths on his first try over 10 furlongs when last seen, but his run was certainly not devoid of promise. Handicap heats should be more his type of thing, though, and this could be good placing by James Fanshawe. Azure Fly can take a starring role in the Racing UK Veterans’ Handicap Chase at Huntingdon after a decent warm-up effort at Uttoxeter. He finished fourth in that outing last month, making his return after 246 days off the track and a wind surgery. Charlie Longsdon’s runner now sits on his lowest ever chase rating and a race such as this presents the perfect opportunity to take advantage. It may be worth taking a chance on Don Bersy in the Michaelmas Handicap Hurdle, despite the fact he refused to jump off last time out. The five-year-old was very useful as a juvenile hurdler, racking up three wins on the bounce and also managed to win one of his six starts last term. However, he had no intention of giving fences a try at Uttoxeter in May, so perhaps Tom Symonds’ move back to hurdles here might be more to his liking, particularly after a nice summer break. Cascova is one to note in the closing Ellington “Junior” Standard Open National Hunt Flat Race. He hails from the family of Festival winner Kadoun and could be an interesting contender for Martyn Meade. Kupatana can make a perfect start to her career over fences in the Cotswold Mini Hereford Chase at Hereford. Already a point-to-point winner, her two hurdles wins appeared to be something of a bonus for Nicky Henderson with chasing surely set to be her game. Coastal Drift counts the admirable Bob Bob Bobbin and Absalom’s Lady among his relatives and will surely thrive as he tackles obstacles in the British Stallions “National Hunt” EBF Novices’ Hurdle at Lingfield. Well beaten on his sole bumper run back in January, he did not enjoy a clear passage and it is perhaps best to put a line through that run ahead of embarking on this new discipline. CHELMSFORD: 4.15 REGULAR (NAP), 4.45 Jack Nevison, 5.15 Sea Fox, 5.45 Matterhorn, 6.15 Mainsail Atlantic, 6.45 Tigerfish, 7.15 Impart. HEREFORD: 1.30 Keel Over, 2.00 Gwalia, 2.30 Kupatana, 3.00 Third Estate, 3.30 Fox Appeal, 4.00 Tidal Watch. HUNTINGDON: 1.10 Ferrobin, 1.40 Strong Resemblance, 2.10 Don Bersy, 2.40 Azure Fly, 3.10 Kingston, 3.40 Cascova. LINGFIELD: 12.50 Parody, 1.20 Coastal Drift, 1.50 Champion Chase, 2.20 Telegraph Place, 2.50 Mercian King, 3.20 Evron, 3.50 Finnegan’s Garden.